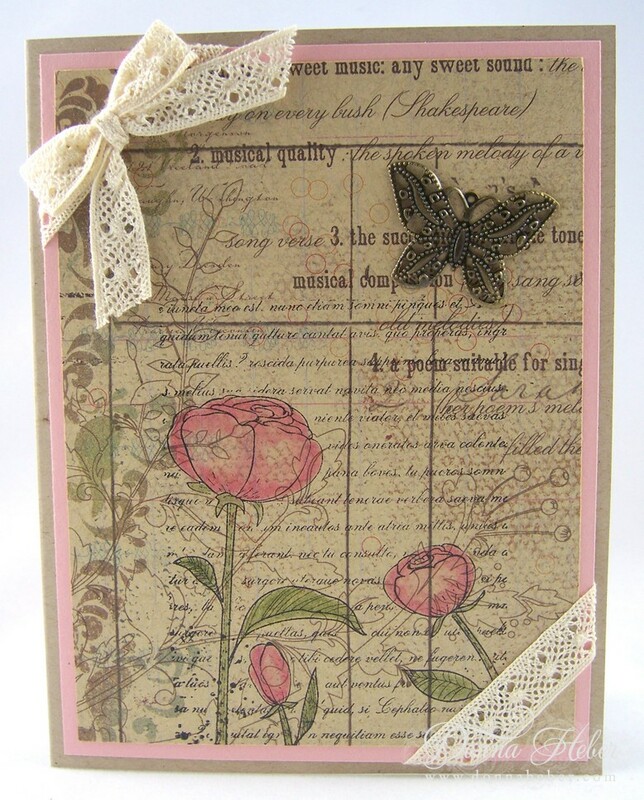 This card was inspired by one of the gals over at Memory Box. I see now why Suzanne didn't want to cover up this pretty Valise paper. 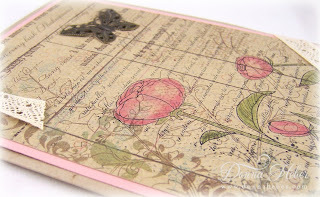 I stamped the Memory Box Adore image right onto the Valise paper in StazOn Black and colored the flowers in Regal Rose and Old Olive with a blender pen. I added 1/2" Chantilly Crochet Ribbon to the corners and glued my bow with Crystal Effects. A BoBunny metal butterfly was added for a little dimension. The image panel was mounted to a piece of Blushing Bride paper and then onto a Desert Storm card. 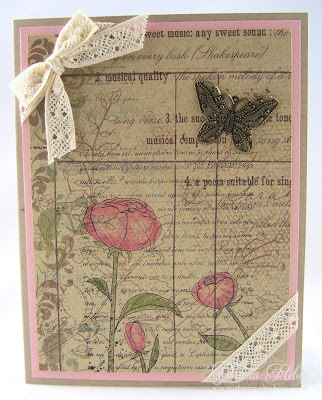 A very easy card to create with a touch of vintage. They are forecasting a beautiful weekend so I plan to spend Saturday and Sunday working in my flower gardens. I'm so happy to see my tulips, daffodils and hyacinths all emerging from the soil. Love this card. It very elegant. this is very beautiful donna, love that butterfly. Very simple and elegant card Donna! Can't beat Memory Box stamps! 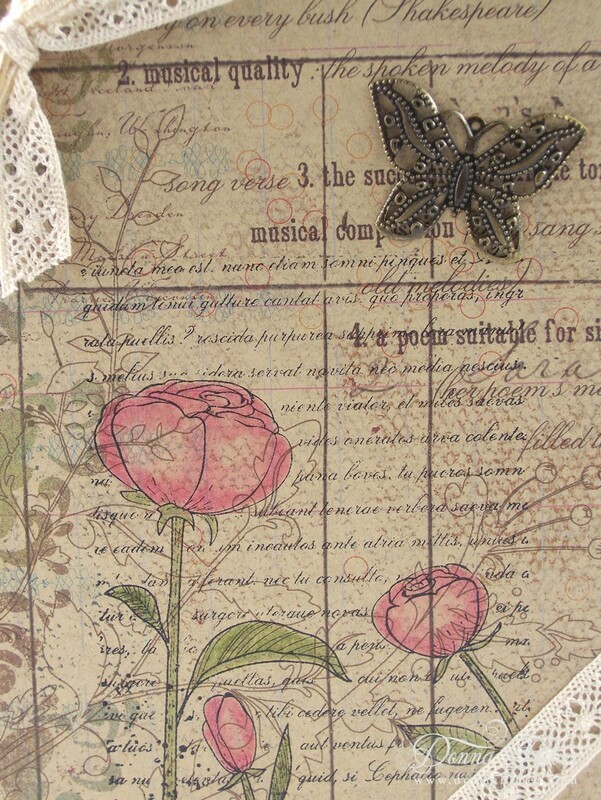 I love Memory Box anything! Very pretty !! I adore this card! The colors are so subtle and lovely, and that butterfly is a great touch. Great vintage look! 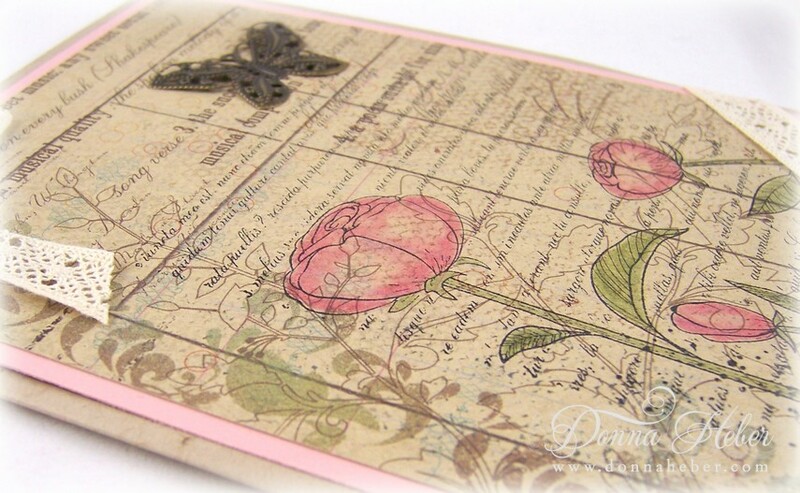 Love the idea of stamping and coloring directly on the printed paper! This is beautiful, Donna. Thank you for sharing this with us. This card is just beautiful Donna! This is so gorgeous and elegant! Simply beautiful!